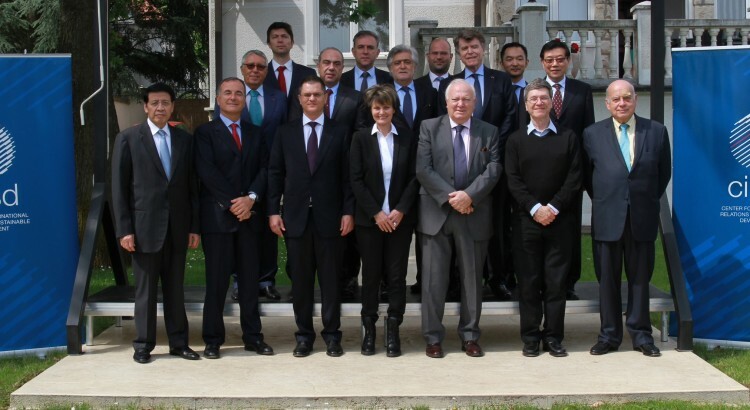 Last 28th and 29th May, 2016, the Center for International Relations and Sustainable Development (CIRSD) held the 10th meeting of its International Board of Advisers in Belgrade. During the meeting, a report was presented of CIRSD’s activities since the last Board meeting, which took place last autumn at Harvard University. In addition, CIRSD’s plan of events and activities for the period ahead was outlined.‎ Particular attention was devoted to plans for forthcoming issues of CIRSD’s flagship English-language journal Horizons; Davos-style discussions to promote each issue; plans for CIRSD conferences scheduled to take place in Belgrade, London, New York, and elsewhere; and the release of several CIRSD policy papers on current issues in international relations and sustainable development. The CIRSD Board meeting also featured off-the-record discussions between its members on contemporary topics in global affairs. Topics included the future of the UN and multilateralism, implementing the 2030 Agenda and the Climate Agreement, trends in Asia and Latin America, and the crises in the Middle East and North Africa. Joining CIRSD President Vuk Jeremic at the meeting were: Franco Frattini, former Vice-President of the EU Commission and Italian foreign minister; Luis Amado, Portugal’s former foreign and defense minister; Markos Kyprianou‎, a former EU Commissioner and Cypriot foreign minister; Jose Miguel Insulza, former Secretary-General of the Organization of American States and Chilean foreign minister; Micheline Calmy-Rey, Switzerland’s former president and foreign minister; Thierry de Montbrial, the President of France’s leading think-tank IFRI, Mohamed Benaissa, Morocco’s former foreign minister; Miguel Moratinos, Spain’s former foreign minister; ‎Hassan Wirajuda, Indonesia’s former foreign minister; one of the world’s leading economists Jeffrey Sachs; and ‎Li Wei, the Director of China’s Development Research Center holding the rank of government minister.